Our sanitary pad project is a huge success. 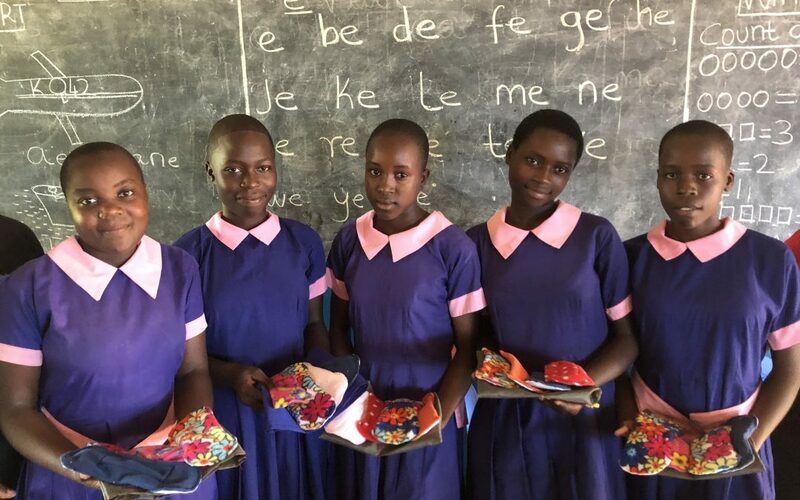 Friends of Buburi has now delivered 185 packs of washable, reusable sanitary pads to schoolgirls in Buburi and they have been having a huge impact on the lives of these young girls. They were missing up to one week of school per month but now they can now go to school every day. We’ve also been delivering post partum pads and these have been really welcomed by new mums. Each ‘pack’ is a waterproof bag containing four pads, all made by lots of sewing volunteers from all over the UK, and in some packs we were also able to include a new pair of donated pants. Two of our Trustees Sallie and Noreen have been able to speak to some of the 14 year old girls, who have used the pads, and their Headteacher who said that ‘the pads are having a positive impact on the levels of absenteeism. Girls are now only absent when they’re sick, not when they have their period’. The pads are hugely valuable to the lives of these girls and so in the short term we want to be able to continue providing them. However we’re also exploring ways that they can be made locally, thus providing an income for a local person as well as offering low cost reusable pads to women and girls.